Kinesiology means the study of the mechanics of body movements. You will gain a new appreciation of your body when you have a deeper understanding of your body's capabilities. Kinesiology is an excellent pastime, not only for a fitness professional or athlete. In fact, knowing more about your body, can even help someone struggling with obesity. The engineering of your own physical body is beyond amazing. As a result, the more you know about yourself, the more fit you will become. When you realize the capabilities of your body. You will want to get fitter, to fully experience your body's capabilities. In addition, when you understand how your joints work, you will train safer. Check out the video above of Jeff Cavalere of ATHLEAN-X, who does just that. 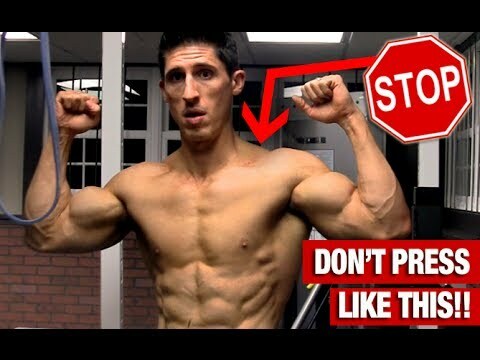 He demonstrates why you should never do a behind the neck shoulder press. Using a model of the shoulder joint, you can now see the best angle for shoulder presses. This is why understanding kinesiology is so useful for designing safe and effective exercise programming. From this video, you can easily answer the question what is kinesiology used for. What are your Major Joints? The main joints of your body are your shoulders, hips and your spine. Movement of your body happens at your joints. Therefore, in order to study kinesiology, you must understand how your joints move. 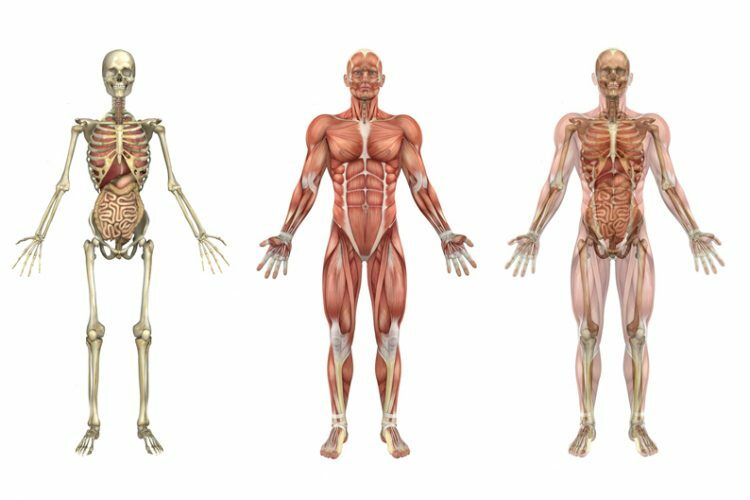 Your skeletal muscles move your joints. It is fascinating to realize that only your skeletal muscles are under your control. Other muscles in your body, like the heart and lungs, function without needing your thoughts. Imagine if you had to remember to breathe or have your heart beat. That would be a complete disaster for those who are forgetful! Which Joints Move the Least and the Most? The ankle joint moves the least. This is a good thing, because your ankle is supporting your entire body. You do not want to be flailing around in the wind like a scarecrow. Therefore, your ankle has limited mobility. This provides a solid base of support for your body. On the other hand, your shoulder joint moves the most. The mobility of your shoulder joint is excellent for doing physical work with your hands. Ankle flexion is when you move your foot towards your shin. You flex your ankle upwards. The other capability of your ankle is extension. Ankle extension is when you point your toes. When your foot moves away from your shin. What Type of Joint is the Ankle? The main bones of the ankle are the talus in your foot, and the tibia and fibula in your lower leg. The ankle is a hinge joint. Flexion of the knee is when you move your heel towards your hamstrings, the back of your leg. For example, when you are on the leg curl machine. You move your heels towards your glutes. Knee flexion is a decrease in the angle between your tibia and femur. The tibia is the major bone of your lower leg, and the femur is the major bone of your thigh. Knee extension goes the opposite way. When the angle is increasing between your tibia and femur, this is knee extension. The classic example of knee extension is the squat. As you stand up out of the squat, you are performing knee extension. In fact, this is one of the reasons that the squat is so powerful. The squat exercise requires that you perform knee extension, hip extension and ankle plantar flexion. That is why the squat is known as a compound exercise. A compound exercise requires multiple joint movements at the same time. What type of joint is the knee? The knee is also a hinge joint, like the ankle. Elbow flexion is when you move your forearm upwards towards your shoulder. The classic example of elbow flexion is when you do bicep curls. On the other hand, elbow extension is when you are straightening out your arm. An example of elbow extension is when you are pushing yourself up in a dip. The concentric action of an exercise is when you are producing the most effort. Technically, when your muscles are contracting. Eccentric movement is when your muscles are lengthening. We will get back to that at another time. In the meantime, remember that flexion is a decrease in angle. And extension is an increase in the angle of a joint. When the elbow joint decreases in angle, this is flexion. The elbow, like the ankle and knee, is also a hinge joint. The most common type of joint, is the synovial joint, the hinge joints of the ankle, knee and elbow. However, the shoulder and hips are ball and socket joints. The shoulder is your most mobile joint. Your shoulder joint can do flexion and extension. Abduction and adduction are also shoulder joint movements. We will explain abduction and adduction in a moment. And furthermore, your shoulder can also do horizontal abduction and adduction. Imagine that you are standing straight, with your arms at your side. This is called anatomical position. 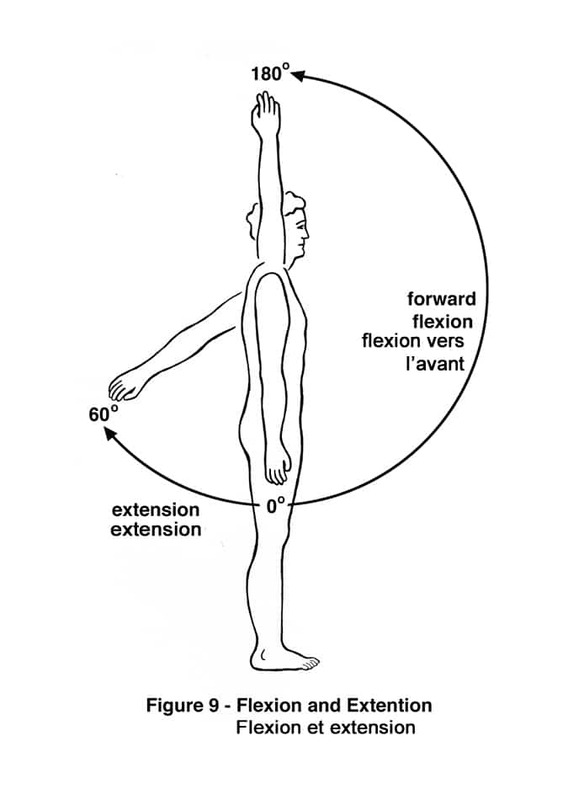 Anatomical position is the baseline starting point of all kinesiology. The study of human movement begins with anatomical position. Now, imagine a line going down the middle of your body, from your head to between your feet. This imaginary line is called the midline of your body. When your arm moves forward, this decreases the angle of your shoulder joint. Just remember that moving your arm forward is called shoulder flexion. Moving your arm downward and back is known as shoulder extension. An example of an exercise which uses shoulder flexion is a front raise with dumbbells. A shoulder extension exercise is a straight arm pulldown. When you swim, you are doing repeated shoulder extension. This explains the V shaped backs of swimmers, because swimming develops the shoulder extensors. Particularly the latissimus dorsi and teres major muscles of your back. Shoulder abduction is when you move your arms away from the midline of your body. For example, when you do a wide grip shoulder press. At the moment of greatest effort, your arms are moving away from the midline. Another example of shoulder abduction is the lateral raise. The lateral raise is when you are standing, or sitting, and lift each arm to the side, to about shoulder level. Typically, lateral raises are performed using dumbbells in each hand. On the other hand, when you do a wide grip lat pull down, your arms are moving towards the midline. Therefore, a wide grip lat pull down is an example of shoulder adduction. The classic example of horizontal shoulder adduction is the bench press. Your arms move towards the midline of your body in the bench. A seated wide grip row is an example of horizontal shoulder adduction. Who cares about Adduction Shmadduction? At this point, if you feel frustrated and wondered out loud, who cares! The answer is that you want your joints to function as best as they can. Not being strong in one joint movement is like having a cadillac with power windows. But, you do not have the switch activated to use the feature. All of these joint movements are features of your amazing body engineering. So, instead of exercising the mirror muscles only, like your chest, quads and shoulders. You want to also exercise the muscles of your back, glutes and hamstrings, known as your ‘posterior chain'. This will help you stay balanced and ensure that you stay strong for all functional activities of daily living. The hip is has more mobility than the ankle, but less than the shoulder. Flexion, extension, abduction and adduction are the joint movements of the hip. Many compound movements involve the hip. For example, squats and deadlifts are two examples of compound movements that engage the hip. Both the squat and deadlift require hip, knee and ankle extension. This is why squats and deadlifts are two of the greatest exercises you can ever do to build your strength. The spine can do lateral flexion, as in a side bend. In addition, the spine does extension, as in a ‘superman'. The superman exercise is when you lie face down on the floor. Then, you simultaneously raise your arms and feet. This extends your spine and is an excellent floor exercise. By the way, all spine exercises are considered multijoint movements. Rotation movements can be performed at the spine, hip and shoulder joints. In addition, there is internal and external rotation at these joints. In a wide grip exercise, the elbows are out and away from the body. Whereas, in a close grip, the elbows are in. Maybe you never thought there is much of a difference. But, now that you know a bit more about joint movements, you can see there is a big difference. For example, if you do a close grip pushup, you are doing shoulder flexion. But, if you move your hands wider, now you are doing shoulder adduction. Two completely different joint movements. You can now describe the daily activities of a person in terms of joint movements. For example, standing up from a chair or getting out of your car requires hip, knee and ankle extension (ankle plantar flexion). Knowing what you or a client does in their daily activity will help you design a customized exercise program. And, once you understand joint movements, you can learn the underlying muscles used for each joint movement. This will help you create a more balanced exercise program. This is what kinesiology is used for.